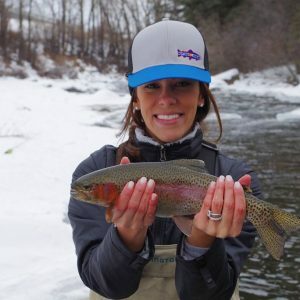 The Eagle River is a magnificent fishery, that while not well known, is a consistent producer of hard fighting rainbow, brown, and cut-bow trout. The Eagle River begins outside of Camp Hale and terminates in the Colorado River near Dotsero. Current Fishing conditions on our home river have been absolutely phenomenal. Run-off conditions have slowly been creeping in over the last couple of weeks, but with cold nights and late spring snowstorms we are still experiencing great visibility in the morning and into the afternoon. The Upper eagle, what i like to consider from Gore Creek all the way up to Camp Hale, has been a complete playground for all the Euro Nymph fishermen out there, great hold over pockets combined with deep “close-quarter” runs have created a lethal advantage for my Euro setup. Swing by the shop and check out our complete selection of competition nymphs that are completely custom to the rocky Mountains. The MIddle Section, from Eagle-Vail downstream to Edwards; I will keep locations vague for locals, STREAMERS!! If you feel like covering some water in a quick amount of time the bike path along the eagle has been a great tool for accessing these hidden gems. If scenery is not an issue and you don’t mind a few joggers or golfers asking how they are biting, the middle stretch has been dynamite. Make sure to hit each pocket once or twice and move on, with how aggressive these fish have been if they don’t strike in the first or second cast, they aren’t interested. Finally The Lower Stretch, Wolcott all the way down to the Colorado River. In the upper sections of Wolcott 131 hole and upstream, the water is still clear and the fish are hungry, There has been an epic Midge hatch happening around 11:30, it has dubbed the name “lunch break hatch” and is not to be missed, so think twice before you head to work tomorrow because we are seeing it along the entire eagle. If you are planning on fishing the dirty water down towards gypsum, the fish are still active and high in the water column; Pats , worms, and eggs have been great attractor patterns, but I have been laying off the weight and moving that indicator a little closer, this method has been very effective. When walking downstream i have been using a two handed or trout spey rod for swinging streamers, this has been loads of fun and of course completely takes the fear out of fishing dirty/ high water. On that note remember it is high water season swing by and pick up your wading staffs at the shop to give yourself that extra stability in fast currents. Major public access sites are the Wolcott put in sites off old US Hwy 6, 1 1/2 miles west of Wolcott and Eagle City Park. If you want to explore some more, there is always this link to keep you experimenting for years. 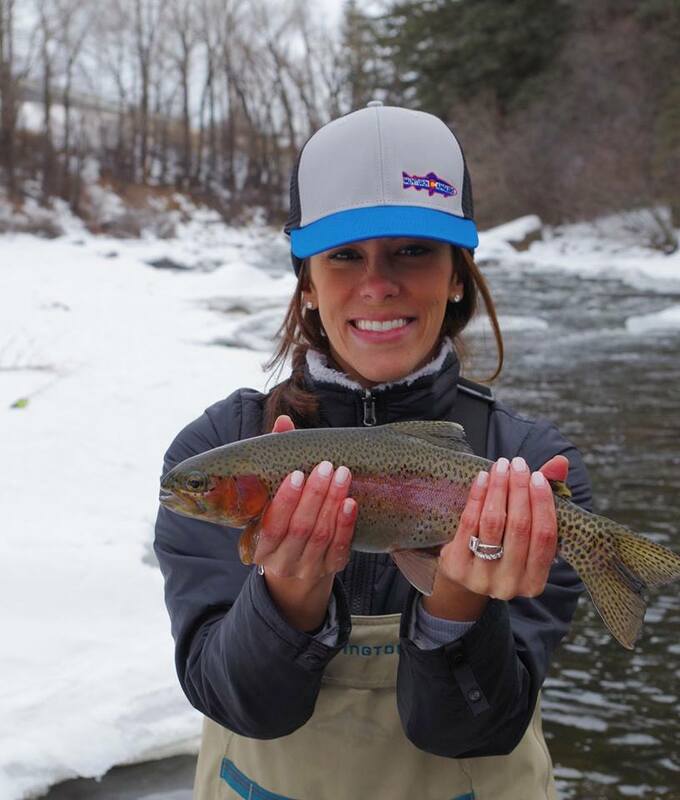 Want to Fish With us on the Eagle River?